on Thursday evenings from 6:30 PM to 8:00 PM in the Hibbard Gallery. Join the Rockport Art Association & Museum in welcoming David P. Curtis for an oil painting demonstration. "Learning to see should be the goal for which all painters strive, whether they are just beginning or have painted for many years. The guiding principles for this study include the natural vision; tone and color; light and shade; form, atmosphere, and focus," according to Curtis. Join the Rockport Art Association & Museum in welcoming Paul Ciaramitaro for a drawing demonstration. Influenced by Renaissance artists as well as local artists of the Cape Ann School, including Aldro Hibbard, Emile Gruppe and Charles Movalli. Ciaramitaro is an active artist member of Rockport Art Association & Museum and has several paintings in the Museum Collection. Join the Rockport Art Association and Museum in welcoming John Caggiano for an oil painting demonstration. For Caggiano, "painting is the bold and dynamic use of color that infuses life into the subject of the painting. Color is the lifeblood of the painting. Nothing stimulates more than its pleasing harmony, whether strongly applied or toned and tranquil." Join the Rockport Art Association & Museum in welcoming Ken Knowles for an oil painting demonstration. 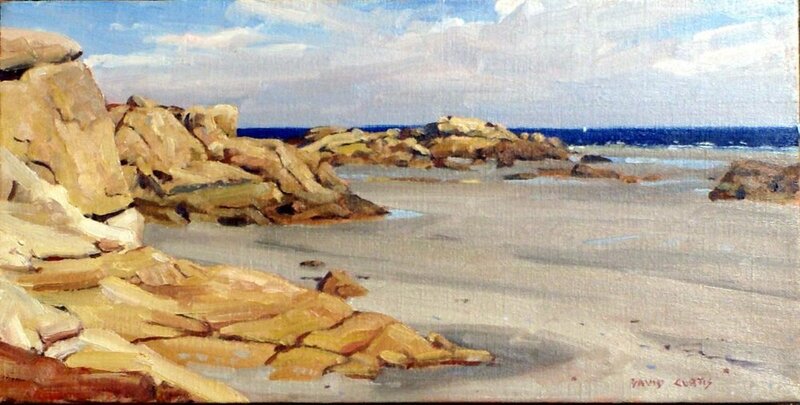 Knowles continues the tradition of American Impressionism having studied with Cape Ann master painters, such as Stapleton Kearns, John Terelak, and T.M. Nicholas. His work is part of many private and corporate collections in both the U.S. and abroad. Join the Rockport Art Association & Museum in welcoming Rosalie Sidoti for am oil painting demonstration. Sidoti says [her] "inspiration is endless and possibilities are boundless. For years, [she] painted exclusively plein air and the knowledge [she] gleaned from that process proved invaluable. [She] studied the clouds, the open sky day and night and under all kinds of weather conditions."